For decades, homes in the U.S. have been getting bigger and bigger. The average size of a single-family home in 1978 was 1,780 square feet. That grew to 2,662 square feet in 2013—even while the size of the American family has gotten smaller. In the early 2000s, “McMansions” popped up in subdivisions all over the place, averaging well over a whopping 3,000-plus square feet. But in recent years, there has been a trend moving away from the supersized home. There is interest in smaller spaces across all generations, from downsizing Baby Boomers to homebuying Millennials. Small homes of less than 1,000 square feet are becoming more common, as are tiny homes of less than 500 square feet. Thus, the tiny home trend was born. One event that helped spark the tiny home trend was the introduction of the Katrina Cottages—developed by Marianne Cusato as a housing solution in the aftermath of Hurricane Katrina. Another event was the financial crisis of 2007 and 2008, when many people were forced from their homes and had to figure out alternative solutions to housing. A residential structure under 500 square feet is generally accepted to be a tiny home, although the average size is 186 square feet. Many of them have loft areas to increase overall square footage. They come in many different styles, from Victorian to modern—and everything in between. Tiny homes can be purchased already constructed, or you can build your own with the availability of do-it-yourself plans. The quality of finishing varies, often depending on the builder and the preferences of the buyer. Sixty-eight percent of tiny home owners have no mortgage, and 56 percent are women. These small structures can be built onsite or built and transported to the site, which brings up an important caveat regarding real estate: If a tiny home is not permanently affixed to the ground, it is not considered real estate. People interested in building a tiny home need to check local building and zoning codes carefully—and this is where many people run into problems. Would-be homebuyers and DIY builders of tiny homes who are looking for a spot to locate their home are running into trouble with zoning regulations in many areas. According to the ABA Journal, in most areas—densely populated or otherwise—zoning regulations view mobile tiny homes as temporary structures, along the same lines as an RV. Full-time living in these is not allowed. Further, if the tiny home is permanently affixed to the ground, many zoning laws specify a minimum lot size that is too expensive for most tiny home buyers. The good news? Some areas in California and Massachusetts are changing zoning laws to accommodate these homes. The International Code Council has also adopted a model code for this new type of structure that often shares land with existing homes. The bad news? Change is slow. According to some experts, as many as 90 percent of tiny home dwellers are living illegally in terms of zoning. Their current strategy is to park the home where they can and hope nobody complains about it. When the tiny home trend started, financing was nearly impossible. But as the movement has gained momentum, options are becoming available. In fact, Fannie Mae purchases loans secured by unique or nontraditional housing types, such as, but not limited to, “tiny” homes or “container” homes. Fannie Mae does not specify a minimum size or living area requirements for properties—except for manufactured housing. Loans on these types of properties are eligible for delivery to Fannie Mae provided the appraiser has adequate information to develop a reliable opinion of market value, and the property meets other eligibility requirements. On a case-by-case basis, both the appraiser and the underwriter must independently determine whether there is sufficient information available to develop a reliable opinion of market value. There should be comparables of similar size to the subject property to support the general acceptability of a particular property type. In the appraisal and appraisal report review processes, special consideration must be given to properties that represent unique housing for the subject neighborhood. This will depend on the extent of the differences between the special or unique property and the more traditional types of houses in the neighborhood, as well as the number of such properties that have already been sold in the neighborhood. Structures less than 500 feet are generally accepted to fit the tiny home mold. Often these homes are mobile. If they are not attached permanently to the ground, they are not considered to be real estate. Financing has become more readily available than it was in the past, but size as well as location of these homes must be considered on an individual basis by both the underwriter and the appraiser. 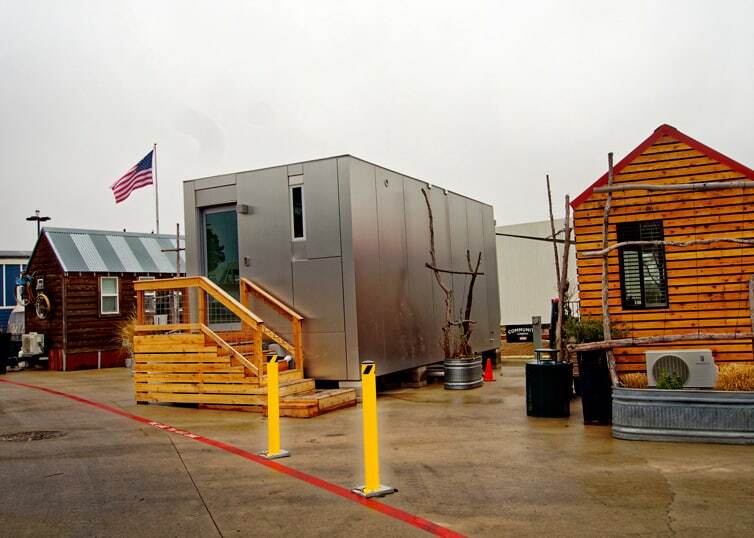 How has the tiny home trend affected your appraisal business? What tricks or insights have you learned from appraising tiny homes? What other types of odd properties have you encountered on the job? Share your thoughts with us on Facebook or Twitter. Ready to launch your appraisal career? Find appraisal qualifying education courses in your state.